As if they weren't already a great high quality product, some new features are being added to the latest sofa beds models. These modern furniture useful pieces represent the ultimate addition into your home. 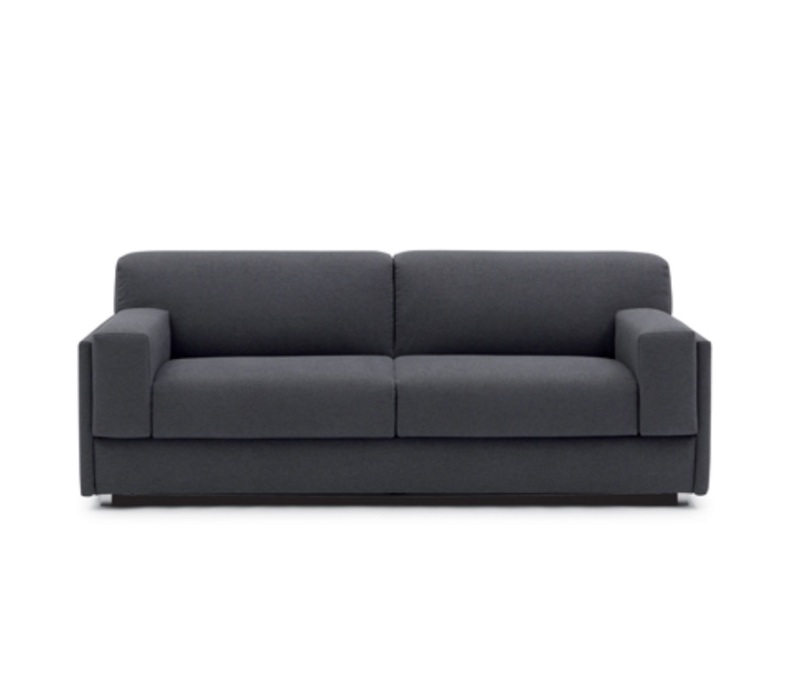 They are ready to use, quick and simple and are great lounge sofas as well! The latest sofa bed features two important new technical improvements: a sturdy bedspring made of extra large non sagging beech wood slats and a the tallest sofa bed mattress you can find, a 19 centimeters (7.5") high mattress available in polyurethane foam or memory foam. This new sofa bed lines are sculptural and want to put the attention on its design which is closer to a standard lounge sofa. Ideal to be used in your modern living room and easy to use on the last minute, if your guests or family members decide to stay! 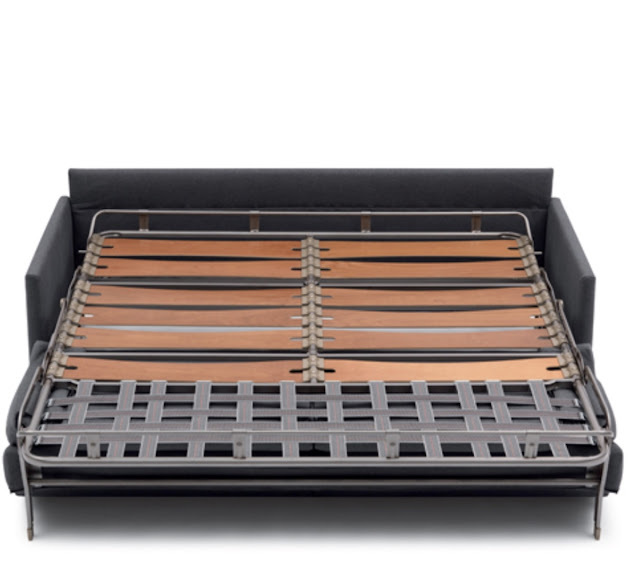 One touch operation system allow to open the modern sofa into bed by simply pulling the back forward. It does not get easier, all you have to do is a quick pull. The modern seat and back cushions that are part of the structure will be stored underneath and will be kept safe, you won't never sleep on the cushions. 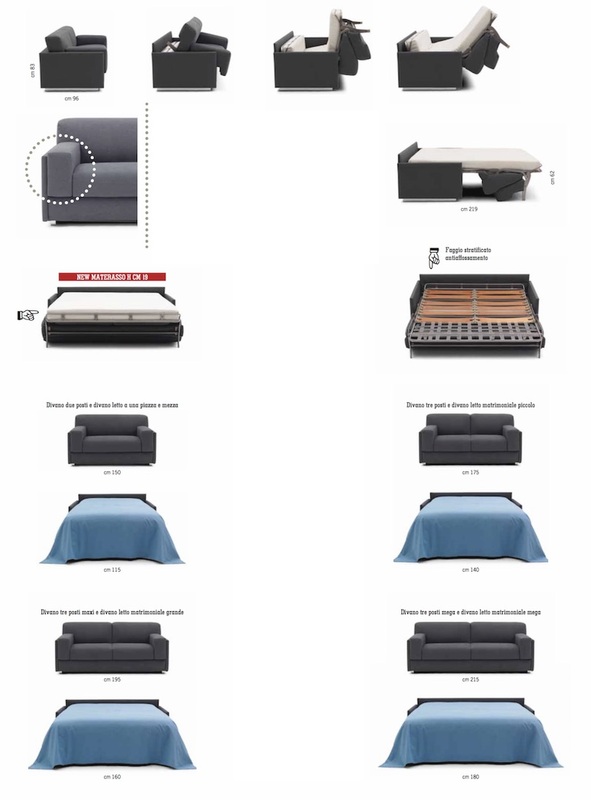 The cover for this sofa bed is completely removable. We have plenty of options, many different modern textures and colors. And if in a few years you will be changing your home decor you can simply change the cover of the #sofabed and have a brand new #modern functional sofa bed. Another great feature is the chunky rectangular armrests, a real comfortable rest for your body and arms. 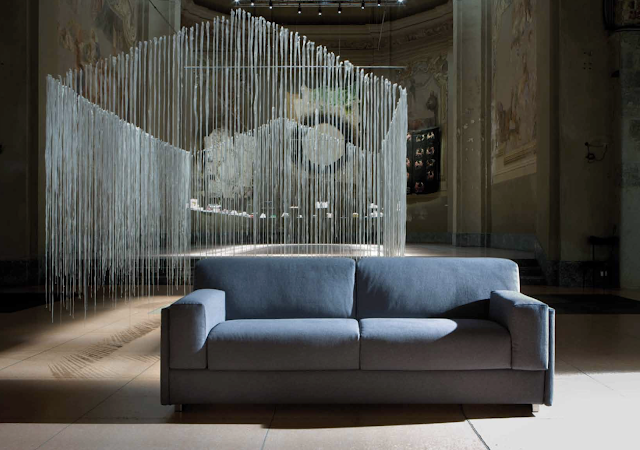 You can find our modern sofa beds collection on our Italian furniture website and browse the different modern styles. They all have unique features but they are all made in Italy and imported from Italy. You will be sure to purchase a high quality modern furniture product. Our modern Italian furniture prices are very competitive and although on a high range, they are 30% less expensive that direct competition! Momentoitalia imports high end #Italian #designer #furniture from Italy and serves architects, designers, trade business as well as direct customers.